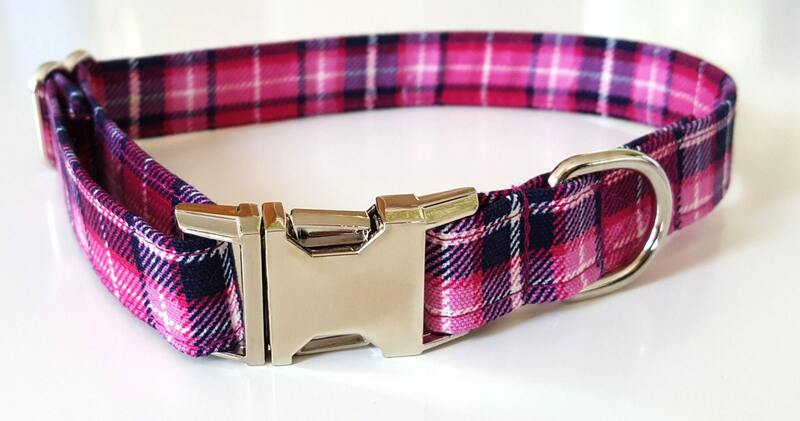 Fabric dog collar in a pink plaid check fabric design. 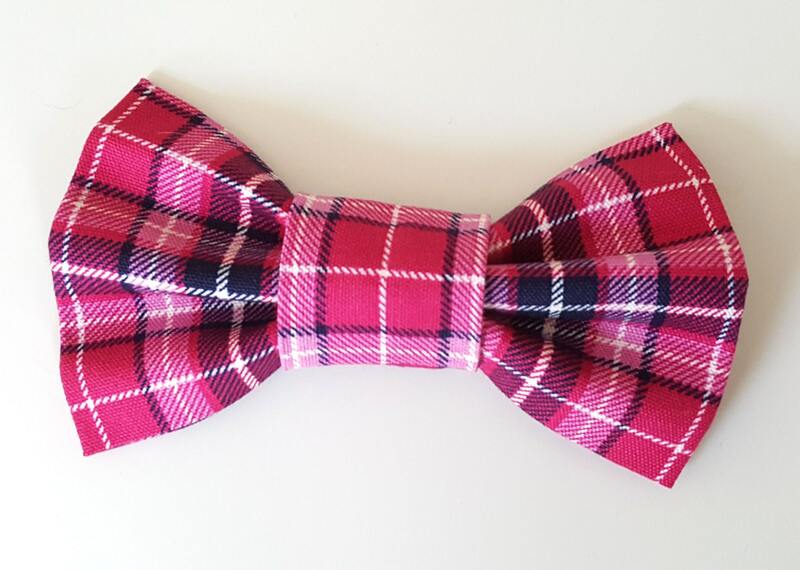 3/4" width with matching bowtie. 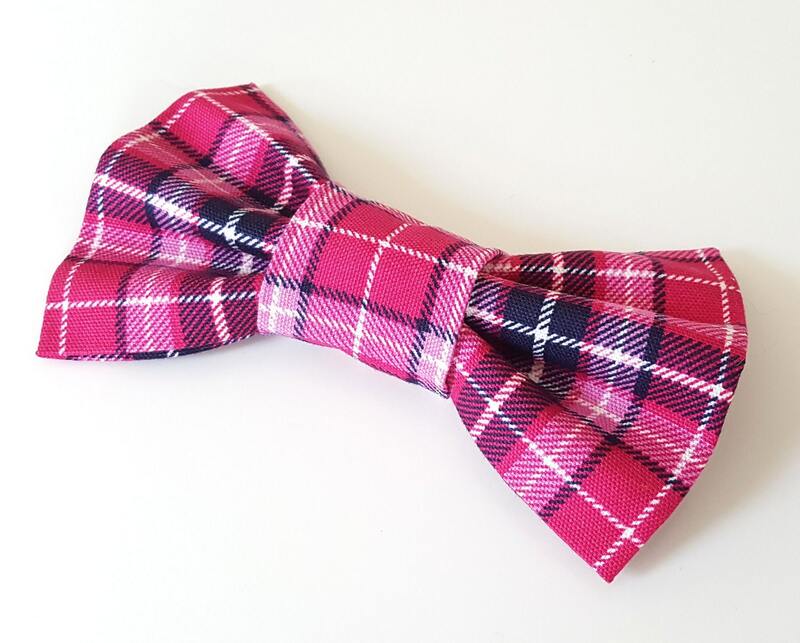 The bowtie measures approx 15 x 8 cms at the widest part. It slides onto the 3/4" collar. New to the ' Dog About Town Range ' which every dog should wear. 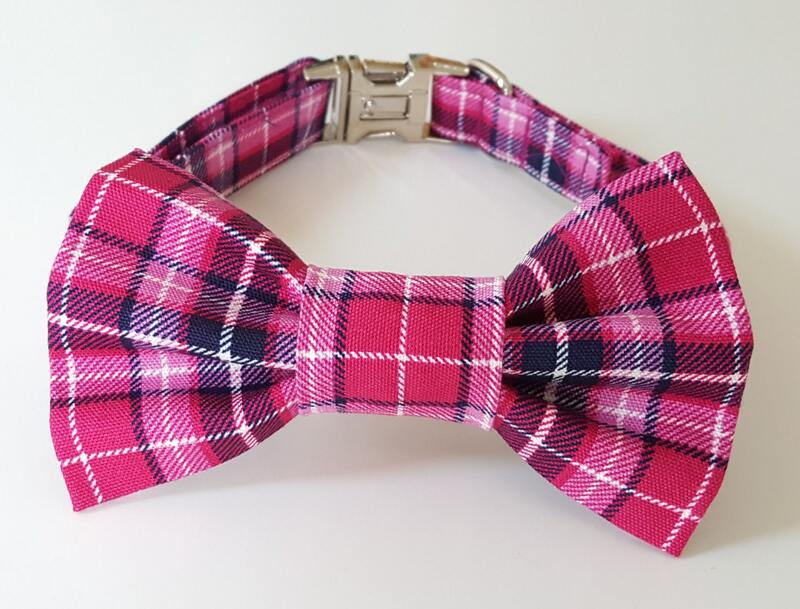 From bright plaids to classic pinstripe there is anything for the most discerning pup.